I’m joining a challenge called ‘The Never Ending Pile Challenge’. The name says it all. The goal is: Use those untrieds. I have so many untrieds and this is a great way to go through them. Wanna join? Scroll all the way down this post to check out the theme’s. One of the theme’s is ‘Had to have it, still haven’t worn it’. A perfect opportunity to finally wear the well known Taboo by Chanel. I went on a hunt for this way back and am so excited that I got my hands on it. It is a true stunner! 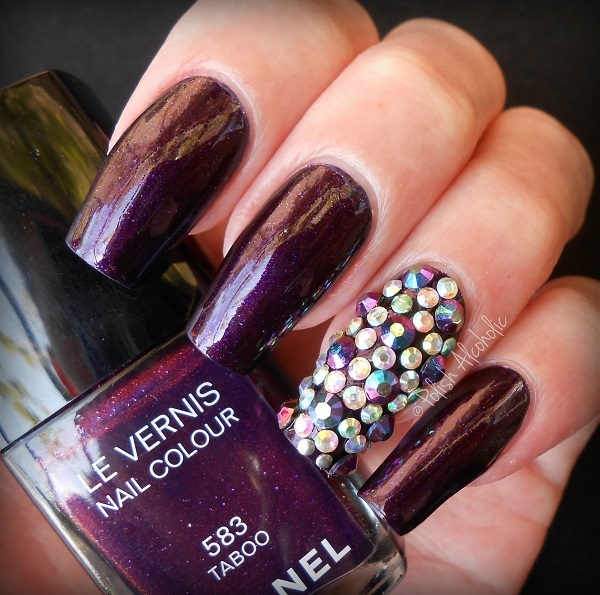 This is two coats plus top coat and some major bling bling 😀 And a photo in direct sun light to show the gorgeous shimmer and bling bling 😀 :* Come join the challenge! 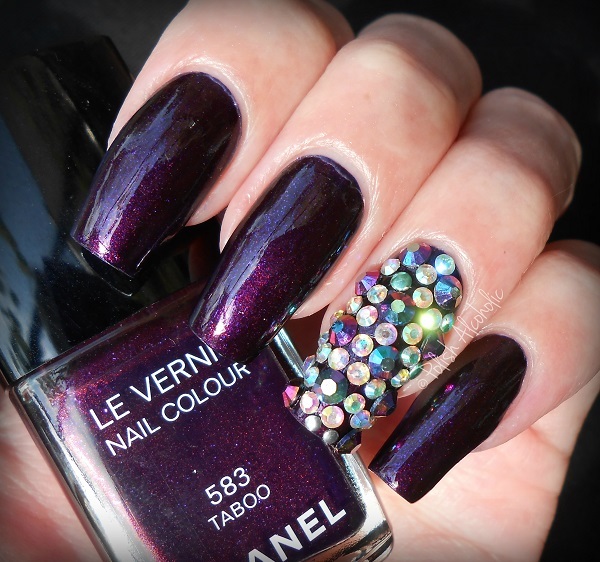 This entry was posted in Chanel and tagged blog, chanel, chanel taboo, nail polish, polish alcoholic, review, swatches by Polish Alcoholic. Bookmark the permalink. 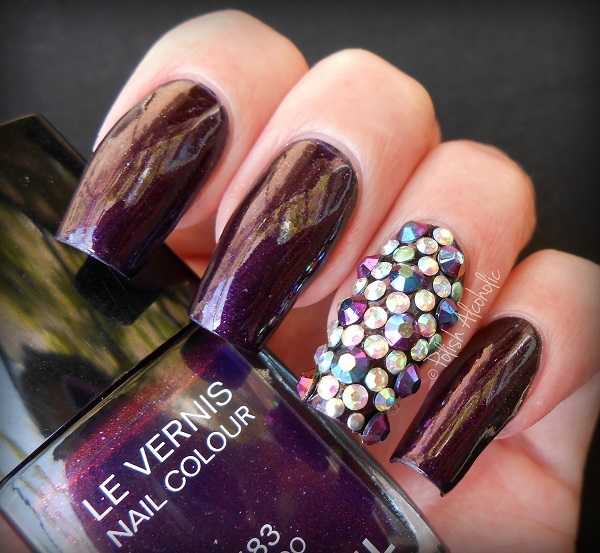 The feature nail perfectly compliments the nail lacquer – stunning! Looks great on your nails. I have so many umntrieds, it's ridiculous, I should really join this challenge to wear those polishes!